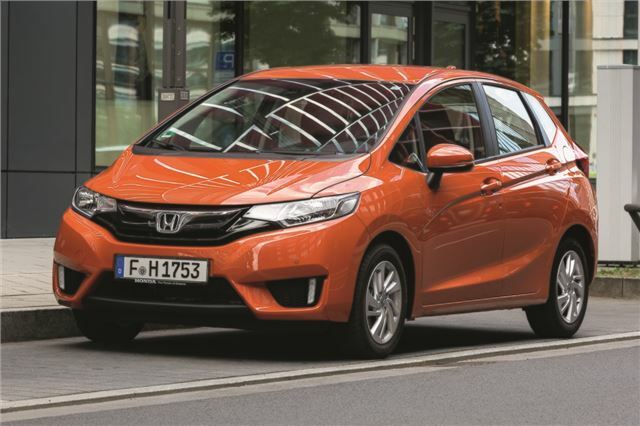 The Honda Jazz has always been one of the most cleverly designed, Tardis-like cars on sale - and the all-new model is better than ever. With a larger boot, higher quality interior materials, even more rear passenger space and lots of clever little touches, it has the versatility of a much larger car but with compact dimensions and lower running costs. In fact despite its small size, Honda says there is as much knee room for back seat passengers in a Jazz as there is in a Mercedes-Benz S-Class. It’s believable, too - this is a seriously spacious car, plus it has good access thanks to wide-opening doors. For people with mobility issues, or for installing child seats, that's very handy indeed. If you’re not carrying rear seat passengers then the so-called 'magic’ seats still have a party trick - they can be flipped up and locked in place for carrying oddly-shaped items like plants on the floor of the car. 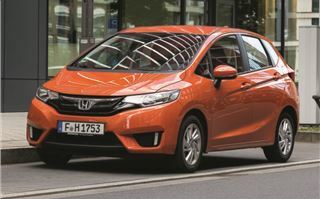 Honda has increased the amount of space available in this configuration and it’s the same story elsewhere – overall load space is up by 17 litres versus the old car, to 354 litres with the rear seats in place. Not only is the boot big, it’s also tremendously user-friendly. The boot floor is so low you barely need to lift bags to drop them in, which makes for easy loading and unloading. If you need to carry larger objects than the rear seats can be folded, giving a flat load deck with 1314 litres to the roof. It’s also possible to fold the front passenger seat, meaning items like planks or a surfboard will fit - you can even fold the seats to form two beds. So far so Jazz. But you can’t really do much to improve the formula when it comes to practicality, so Honda has decided to work on other areas as well. To that end there is a new 1.3-litre, 102PS petrol engine available with a six-speed manual or the latest version of Honda’s smooth CVT automatic transmission. Sales are expected to be split almost 50/50 between the two gearboxes. It might be a new engine but it isn’t particularly impressive, with a peak of 123Nm of torque available at 5000rpm. That means it needs to be worked fairly hard to deliver meaningful acceleration and it can get a little loud - though thankfully doesn’t make an unpleasant noise. Emissions are 116g/km for the manual and 106g/km for the CVT, with economy of 56.4mpg and 61.4mpg, respectively. Those figures increase slightly on variants with larger 16-inch wheels. The manual transmission is very easy to get along with, thanks to a slick throw and a light clutch – but if you really want to relax the CVT is a better choice. It can get coarse when accelerating hard, but for the most part it is quiet and smooth, plus it benefits from European-specific software to give more predictable, manual car-like behaviour when lifting off the throttle and braking on twisting roads. And when it comes to those roads the Jazz is better than ever. It has neat handling, with less body roll along with more accurate and pleasingly weighted steering. Yet the suspension is compliant enough to keep things comfortable. It’s not an especially fun car, but it feels mature and drives like something bigger, whether on country roads or in town. There are a few problems when on the motorway, though. The 1.3-litre engine isn’t turbocharged, so lacks the low-down response of the latest 1.0 three-cylinders from the likes of Ford and Vauxhall. That means a bit of forward planning is needed to overtake trucks or merge with fast-flowing traffic, whether the car is fitted with a CVT or manual transmission. Thankfully it's fairly easy to get used to. All cars get useful standard equipment including DAB radio, cruise control and air conditioning, but if you want alloy wheels, parking sensors and a touchscreen system you’ll need a mid-grade SE model. Top-spec EX models get keyless entry and start, climate control and a parking camera, while Navi variants of SE and EX gain a Garmin navigation system. As seems to be the vogue these days, the Jazz comes with various active safety systems. All cars get emergency city braking, plus mid and top-spec models come with a package including a collision warning system, auto dimming headlights, lane departure warning and an intelligent speed limiter that adapts to the current speed limit, using traffic sign recognition. With a list price of £13,495 for the basic model, rising to £17,425 for the top-spec automatic, the Jazz isn’t cheap – you could get a plusher Volkswagen Polo for less. But there is nothing on sale to touch the Jazz for practicality except perhaps the Nissan Note – but it doesn’t have Honda’s ‘Magic’ seats. The only other alternative is a less wieldy estate car. In fact the Jazz is probably the most practical small car on sale.